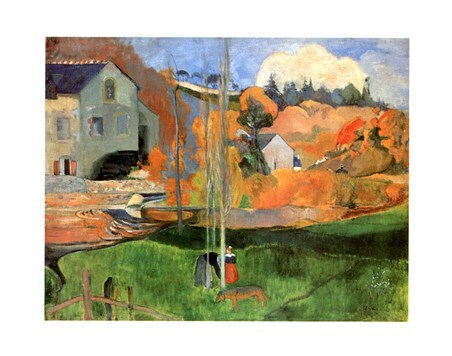 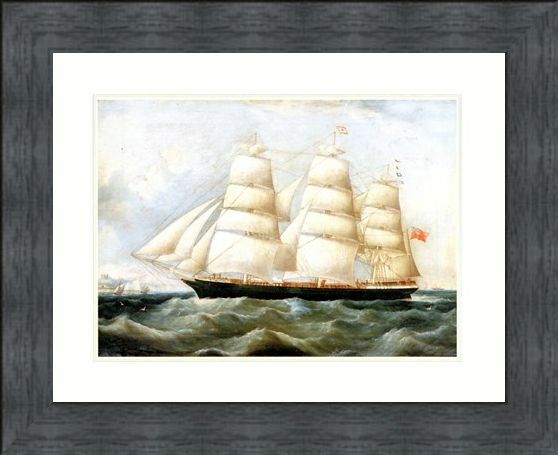 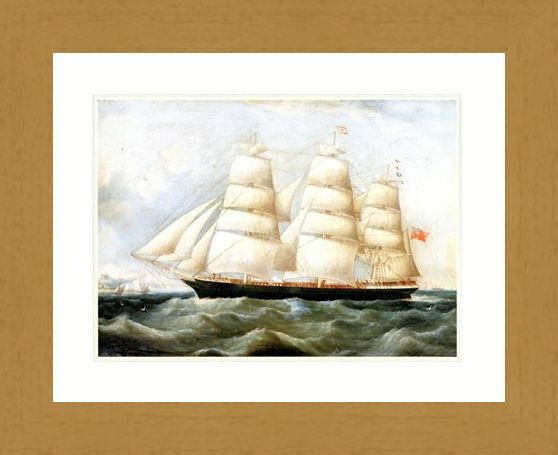 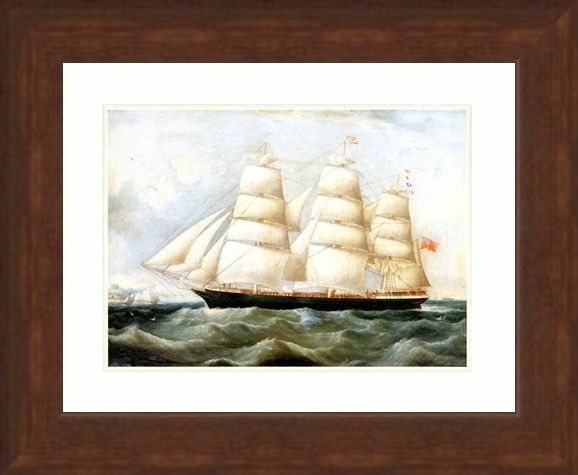 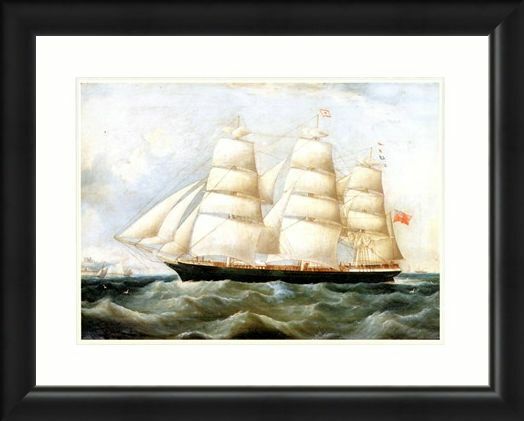 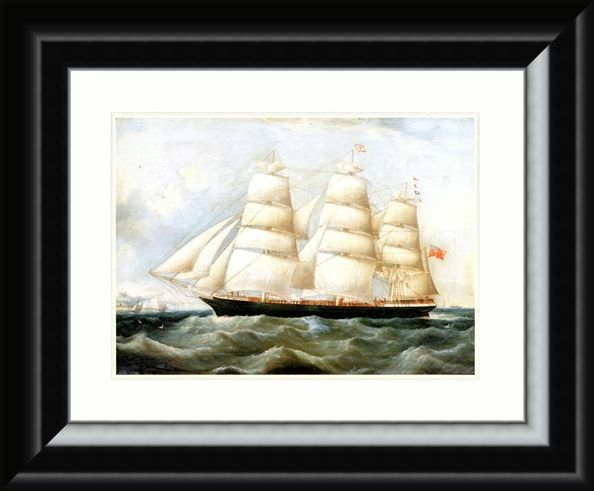 Mini Art Print: If you are a fan of magnificent ships then this mini art print by Scandinavian artist Antonio Jacobsen would make a stunning addition to your collection. 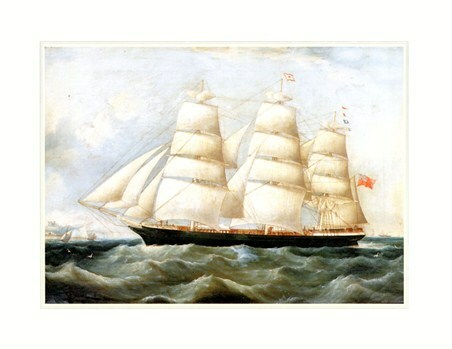 The ship 'Lake Lemon' is pictured here travelling across choppy waters, with sails billowing and flags raised. 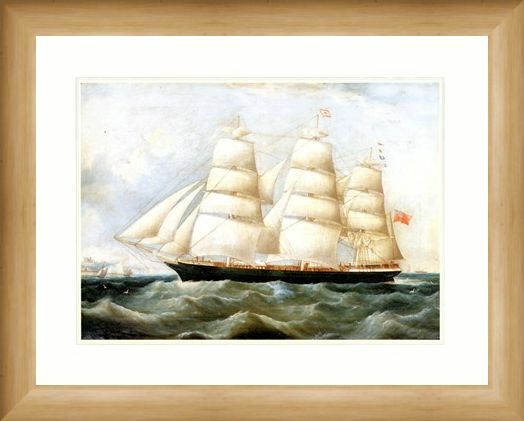 With cargo and crew aboard, she looks magnificent as she travels to her destination. 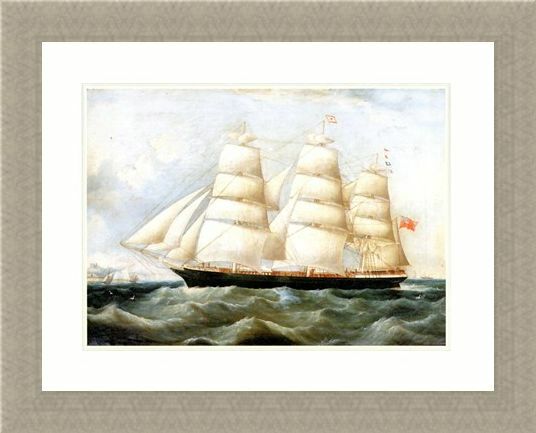 So if you adore everything related to ships dating back to the 1800's, then this would be a great print to hang on your wall. 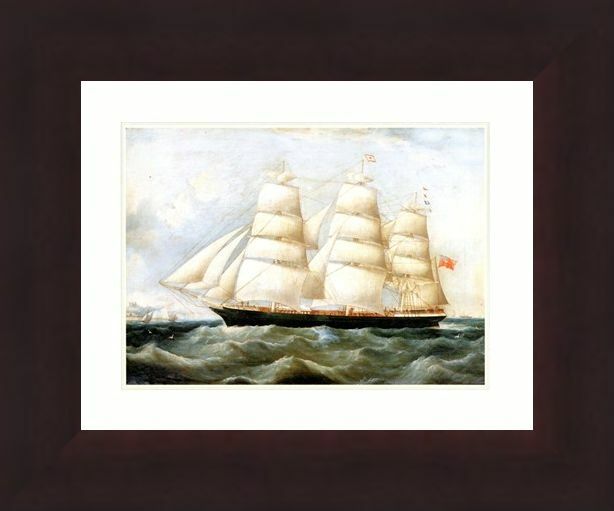 High quality, framed The Ship 'Lake Lemon', Antonio Jacobsen mini print with a bespoke frame by our custom framing service.